Wendy Donham, a graduate of Fairmont State University and Waynesburg University, handles business and client relations for the firm. She also handles workplace disability reviews and client intake services. This helps disabled workers and workers with other issues evaluate their legal case when calling regarding a job termination or discrimination at work. 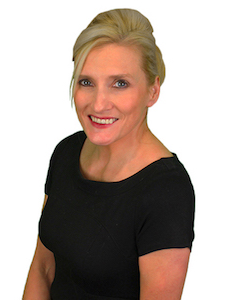 Wendy has a Master’s Degree in Healthcare Administration and served for several years as a business consultant with Wyeth Pharmaceuticals as well as serving as a specialty representative with the ICOS Bio Technology Corporation. During this time she managed several territories, assisting practitioners and patients with managed care and formulary issues. She was also one of the only consultants in Central Pennsylvania to develop a consistent program of access to physician practices that had otherwise been no access practices. This helped patients receive the medications they needed, often at no cost. Another reason Wendy is well suited to assist clients with their cases is that she was and is intimately familiar with the struggles faced by disabled individuals as she has personally dealt with chronic illness and the associated challenges of job loss and discrimination. Wendy has worked hard for individuals with disabilities and other workers whom have experienced discrimination to develop their facts for maximum legal presentation. Wendy also offers firm clients a compassionate and friendly intake process and case review system that enables the client to feel at ease even during a time of great difficulty. You will definitely feel you are in good hands. On a personal note, Wendy’s great passion is music as well as playing the piano and singing for others. She studied under renowned, Francis Yend and James Benner in preparation to sing in German Opera Houses. Although she never realized her dream of singing on the German stage, she has consistently poured her heart into training young voices all around the region in her spare time as well as bringing underprivileged youth the beauty and magic of music. She endeavors to continue offering her talents to others as she enjoys making music and its health-giving qualities a reality for everyone.